Tom’s experience as a university general counsel and administrator gives him an insider’s perspective that education clients find invaluable. He spent 27 years in the Office of General Counsel at Northwestern University, including the last 15 years as the university’s vice president and general counsel. In that role, Tom provided legal advice to the Board of Trustees, the president and other university officers, as well as faculty and staff in diverse areas including governance, legislative and regulatory compliance, development, tax, athletics, employment, real estate, student affairs, zoning and contracts. He also worked with members of senior administration to develop and implement university policy on a wide variety of topics. Previously, Tom served as general counsel and chief operating officer for the National Association for Home Care, a trade association based in Washington, D.C. Tom has also served on the staff of the U.S. Senate Special Committee on Aging. 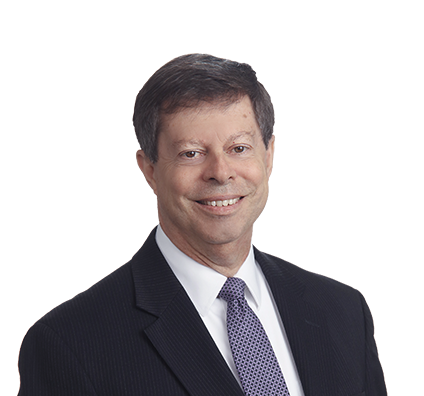 Tom has been an active member of the National Association of College and University Attorneys (NACUA) since 1989. He served for nine years on its board of directors and was elected as the organization’s treasurer and later as the chair of the board. In addition, Tom has presented on a variety of higher education subjects for NACUA. Drafted and negotiated a 2007 agreement to create a new Northwestern University campus in Qatar. Oversaw the legal aspects of a new affiliation agreement between Northwestern University and Northwestern Memorial Healthcare. Led Northwestern University’s efforts to improve its risk management and regulatory compliance procedures through the establishment of the university's first institution-wide compliance office.